This, quite frankly, is an impossible task but one that I can put off no longer after my dear friend Dirk‘s call out last time round when I featured Lloyd Cole & The Commotions in this particular series. You’ve got to open any imaginary compilation album with a killer tune…something of an anthem which epitomizes the band or singer being featured….and I can’t think of anything better than this. One of punk rock’s greatest songs, written and recorded in frustration as the penny dropped for the band, and in particular Joe Strummer, that being a fully fledged, ideologically driven punk at the same time as being a core part of the mainstream music industry was an uncomfortable and some would say impossible position. Anger as an energy…..
Another song fuelled by disappointment and anger. The song title may have been derived from being let down at the dearth of talent performing at an all-night reggae gig but the most meaningful attacks come later on as Joe delivers his very own state-of-the-nation address and in doing so outlines what was so wrong with the UK at that time. Little did he or any of us know that social disorder, racial disharmony, unfair distribution of wealth and the increasing lurch to the right-wing of the political spectrum by all mainstream parties would get a lot worse over the next decade. This is my favourite Clash song of all time. It is one of those once-in-a-lifetime tunes that comes along and embeds itself permanently in your subconscious with a lyric that educates and raises your social and political awareness. I turned 15 years of age the day after this 45 was released….it struck a chord with me then and given that, almost 37 years on, I still hold many of those values that forged my outlook on life, this song hasn’t dated….nor will it ever. It’s quite frightening to think that this song was unleashed on the record-buying public a little over two-and-a-half years after the debut. Musically this is a billion miles away from White Riot as the jarring almost off-key thrashing guitars atypical of the punk sound are replaced by a confident, bombastic rock sound that was tailor-made for radio and evidence that a song does not need a chorus to be catchy and memorable. There can be little argument that London Calling is the best-known song ever recorded by The Clash and there’s nothing I can add to the countless positive words that have been written over the years. There are so many great songs that are incredibly worthy of inclusion on this particular ten-track effort. I’ve changed my mind more than a few times about things but I’ve never dreamt of leaving off Janie Jones. It’s a two-minute burst of high-tempo energy that just never lets up and, in what is now approaching 40 years, has never once failed to get me singing along. I also love how the band didn’t try to hide the fact that, at this stage, Paul Simonon wasn’t the greatest of bass guitarists but somehow his one-note contribution helps make the chorus so memorable. This is an extraordinary piece of music. The very idea that one of the world’s foremost punk bands would, within just five years, record and release a song that leaned heavily on a bossa nova drumbeat devised by Topper Headon and a haunting violin sound would have been laughable. The full unedited version, made available via The Clash on Broadway box set is what I’ve used to close this particular side. The Clash famously had a policy of minimising the number of 45s that would be taken from any album – a stance that led to a lot of friction with CBS Records. It also caused the band to miss out on chart success as they left behind so many great album cuts that were tailor-made for radio airplay – none more so than this track from London Calling. I suppose that’s not quite true as Clampdown was released in early 1980 in Australia where, it being the height of their summer, I’d like to imagine that it would be blasting out over Bondi Beach at high volume. But I doubt it…. Before one of the great shout/sing-a-long lines ever written…WHAT ARE WE GONNA DO NOW? I was thoroughly bemused at first by this, the opening track of the band’s second studio LP. The tune was fabulous and demanded to be played at a volume that bordered on distortion on the old Dansette, (loud enough to drive my parents daft and feel as I was being a teenage rebel), but was this a dodgy racist lyric in which Joe was suggesting everyone in Jamaica was a potential mugger? It took an interview/feature in one of the British music papers to out my mind at ease as Joe revealed the true meaning of the song and the fact that he and Mick had let their idealistic view of the country get in the way of reality and that the song, far from being a dig at Jamaicans, was an effort to chide himself for being so naive. What a relief…. The second album is considered by many to be a weak record but here am I going with a second successive track from it and there’s no sign of the two cracking 45s that were lifted from it. It just demonstrates that Give ‘Em Enough Rope had plenty of moments to be declared as a decent and solid record rather than weak. At 15 years of age, I was gravitating to the lyricists who were telling stories via the songs – Paul Weller was already a huge favourite and the tale of Down In The Tube Station At Midnight was, in my young mind, he greatest song lyric of all time. But not far behind was Mick Jones‘ heartfelt tribute to his best mate who had gone spectacularly off the rails while Mick was working tirelessly to make it as a musician. This has more than stood the test of time as a great love song…. If you’re a regular reader of this blog, or indeed followed the nonsense over at the old place, you’ll have worked out that I don’t own much in the way of reggae as it has very rarely featured. 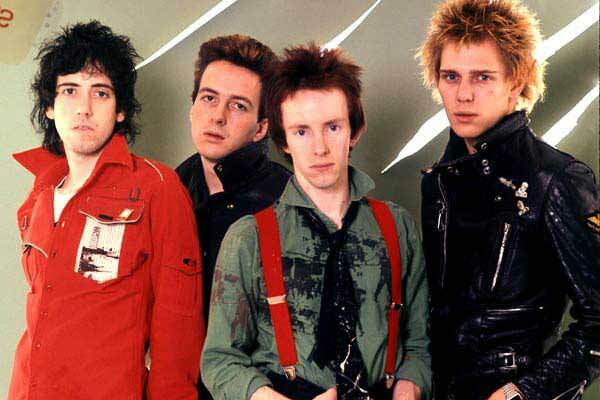 It’s really strange as so many of the punk bands talked up the genre as an influence, and none more so than The Clash, but I just never ever managed to get into it in any meaningful way. Maybe it was the fact that I didn’t have the greatest music player in the world and thus didn’t fully pick up the all important bass beats and rhythms but more likely I was just too into my white-boy new wave guitars to worry about it. But when I played the b-side to the London Calling single, I was blown away by what I was hearing. It wasn’t of course the first time the band had provided their take on a reggae song but this, to my young ears, just sounded so very very special. For a long time I was convinced that this would be unsurpassed as the 45 with the best quality on both sides of the vinyl…. (but then along came Morrissey and Marr). I’m surely not already at the final track on this compilation?? There’s nearly 30 songs that still haven’t had a line put through them. I’m going to leave far too many things off that tomorrow I will scratch my head and consider myself mad. But to close things out, and having played the nine other songs back to back, I’ve gone for the re-recorded version of one of the band’s earliest songs. I’ve written before about how, growing up and living in Glasgow, I was enthralled by what London was like and couldn’t wait to visit. I suppose it’s impossible for young people nowadays who have grown up with a shrinking world made easy to get round thanks to cheap travel by plane, train and automobiles, to realise just how much of a pipe dream making a visit was such was the expense involved. So I had to make do with imagining the city through music and the written word. OK, Joe and the boys were warning that the local radio station was rubbish and didn’t play the music ‘the kids’ wanted to hear, but the fact was I was hundreds of miles outside the reception area for the station and it was one of the things I did want to experience, along with a ride on the Underground and seeing the likes of Big Ben and Tower Bridge which were beamed into our homes every night through news and television programmes. The song was a huge part of my youth – I had a poorly recorded copy of the original on tape – and I loved the idea that the band had a new version as part of the Cost Of Living EP. The fact it came with an outro that spoofed adverts and encouraged people to rush down to their nearest Clash showroom I thought was a work of genius. So for the fact that I love the song, coupled with the fact that this version closes with a bit of I Fought The Law in the background, this, in my mind is the perfect way to finish things off. Feel free to jump in and criticise the omissions!!! How did you keep from going mad? Of all your selections, I’m most happy to see Straight to Hell here. It’s an era you could have ignored without angering too many from your audience, but you thought better of it. Tip of the cap, JC. One of my all-time favorites. I’ve always liked The Maginificent Seven and Spanish Bombs – but what to take out? I feel the Clash could easily justify a double album a la London Calling or even a treble a la Sandanista! Maybe I’m just a soft Southerner, but Stay Free has always been my favourite Clash song, so am glad to see it made the cut here. Friend Of Rachel Worth – you beat me to that comment! Incredibly difficult to limit The Clash to just 10 tracks – I’d want to include Magnificent Seven & Guns Of Brixton, but really couldn’t tell you what I’d drop from the 10 above. As I said last week: an impossible task, but I think you managed quite well, mate! In no particular order, I should add, although ‘Atom Tan’ should be the closer of the compilation. And this no viperish joke or something, I always regarded this as being the best tune on ‘Combatrock’! I would LOVE to have included ‘Safe European Home’, but then I’d had to drop ‘Spanish Bombs’ and that would have meant including nothing from ‘London Calling’ at all … and I’m sure there is some Clash-God somewhere above us all (well, not above poor old George of course) who’d have struck me dead for that! Also ‘Bankrobber’ is missing, but as I said: impossible, really!! Good grief, it just occurred to me under the shower that I managed to forget about ‘The Prisoner’, which is something that isn’t right at all! So, sorry, ‘I Fought The Law;, but you’re out! What makes Sandinista great is its size, its sprawl, its variety. The sum of the whole. Which is maybe why its individual tracks don’t stand out as compilation songs. Mag 7 excepted. Ooh, yes, Spanish Bombs. Good call, CC and Dirk. Gotta make room for that one. Better make this a double album like Snap! Spanish Bombs is superb. I’d chuck in a mention for Train In Vain too, despite it being ‘Mick’s soppy love song’. 3 friends and I once had an hour-long argument over which one song could be dropped from ‘London Calling’ without ruining it. Almost ended in a brawl. JC’s 10 was an impossible task, with several favorites necessarily omitted (I couldn’t live without Clash City Rockers), but a really great effort all the same. And fun as hell to read through everyone’s responses. if I had made it a double or triple album, it would have been so much easier to get all the tracks in…..but then we wouldn’t be having such great debates. All worthy of inclusion JC – but which to leave out?? The nest time Dirk has a shower I will await a further suggestion! …., but ask me again in half an hour and it’ll all be different. ‘Broadway’ invariably opened the set at the Lyceum residency in 1981 and I went to all those shows. The song is a memory of a good time. Great compilation, but it would have been hard to make a duff one really! I wholeheartedly agree that White Man in Hammersmith Palais is THE best Clash song ever. Maybe even the best song ever?! Excellent stuff. I think mine would be approx 80% the same but too damn hard to finalise! Previous Previous post: GAZING INTO MY CRYSTAL BALL….